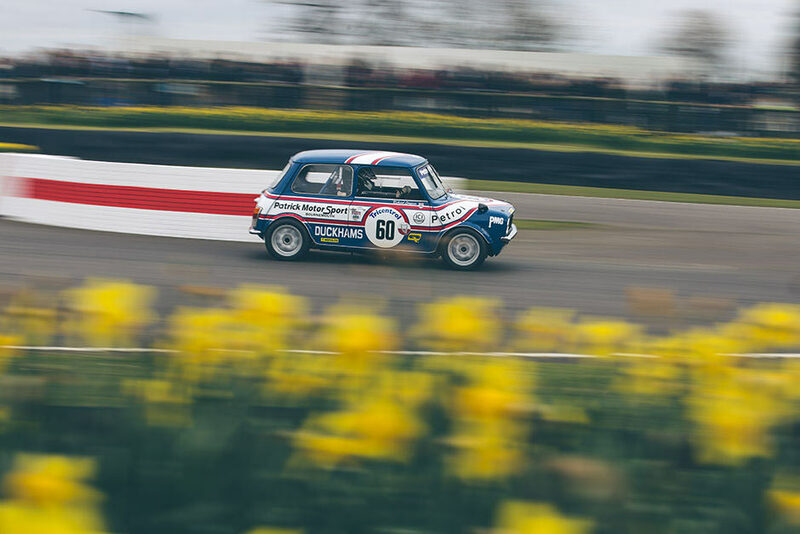 One of the most popular races of the weekend, the Gerry Marshall Trophy saw Ford Capris, Chevrolet Camaros and Rover SD1s battle with the 1275 GT Minis creating the great David V Goliath battles. 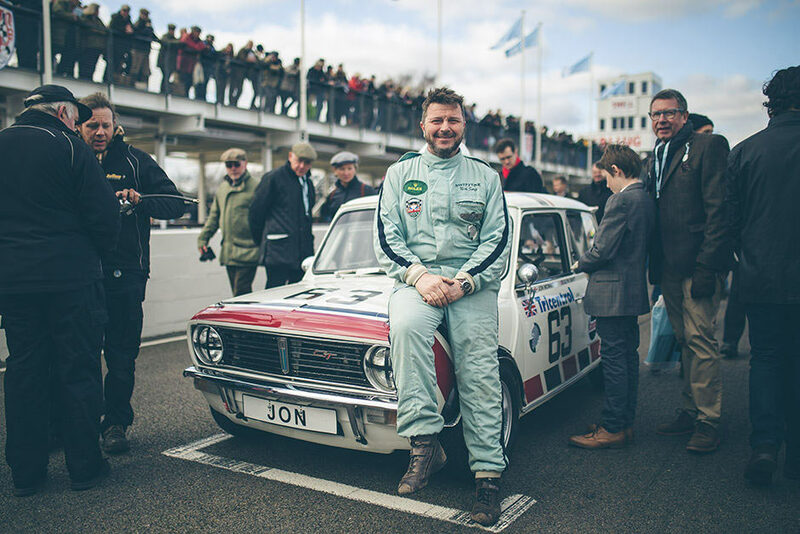 At the wheel of the Jon Mowatt 1275 GT was Nick Swift joined by BTCC champ Andrew Jordan who qualified 14th overall. Race 1, with owners only, saw Nick finish in 10th place after having an epic battle with the Marlboro Rover 3500 SD1 in which after plenty of place swapping Nick managed to get ahead, finishing in 10th. Nick drove the first stint of race 2, however he was forced to retire after missing a gear out of levant and resulted in a very large over rev. An unfortunate end to what was looking like an incredibly exciting race. 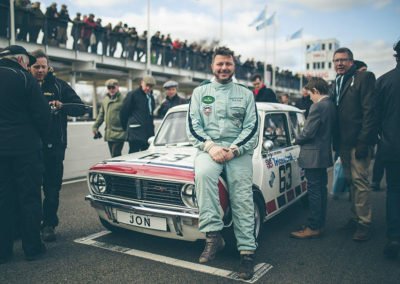 Driving the Swiftune powered Longman 1275 GT Replica was Adrian Barwick and was partnered with BTCC driver and commentator Paul O’Neill. The pair had a flying weekend up against some very competitive cars and drivers and finished 18th overall in the shared race. 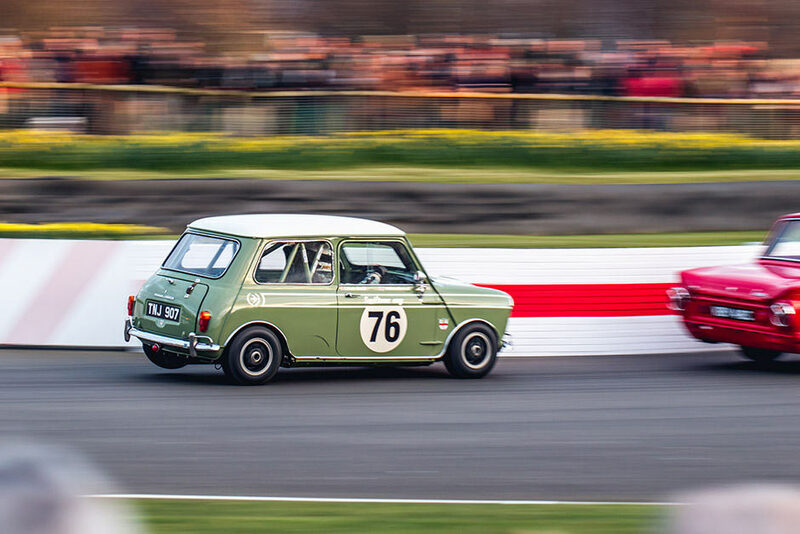 A race for pre-66 Touring cars including Alfa GTAs, BMW 1800 TiSAs and Lotus Cortinas as well as ten Minis in which eight of them powered by Swiftune is guaranteed to be a crowd pleaser! Qualifying saw Nick Swift lead the Minis in 6th overall, and Jason Stanley close behind in his Swiftune Cooper S.
Unfortunatly due to an accident earlier in the day, the race was pushed back and cut short to 10 minutes but that didn’t stop Nick Swift having another crowd pleasing battle for 3rd against the Cortina of John Young and Andrew Banks’ Alfa Romeo. However with time rapidly running out Nick just missed his chance and finished in an admirable 5th place. Nick Padmore, the current Goodwood outright lap holder, jumped four positions after a tricky qualifying finishing 2nd Mini and 7th overall, and Jason Stanley following in 8th. 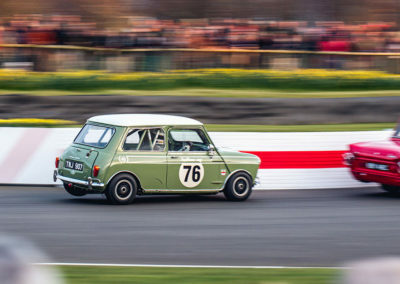 Making their Mini racing debut at the weekend included Nick Jarvis with his Swiftune Cooper S originally built in Sweden by Soderqvist, Head Auctioneer and Managing Director of RM Auctions Max Girardo featured finishing 5th Mini and Najeeb Khan added to the mix for his first time in his Swiftune Cooper S.